Ferrari’s Sebastian Vettel trimmed the lead of championship leader, Lewis Hamilton of Mercedes, to 17 points. The battle has been swaying back and forth for these four-time world champions. Hamilton, who won last year’s race series, started from pole position but his Mercedes could not match the German’s pace in the dry, and Hamilton had to settle for second. With just eight races remaining, the heat between Ferrari and Mercedes is searing. 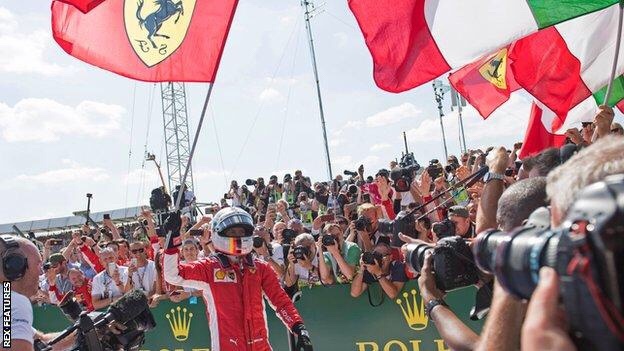 It was the Prancing Horse’s first win in Spa since 2009, when Kimi Raikkonen was victorious. The race will be remembered for the scary and spectacular opening-corner crash, which brought the safety car out and forced five drivers to retire. Alonso’s is launched onto the top of Leclerc’s after being hit at the back by Hülkenberg. 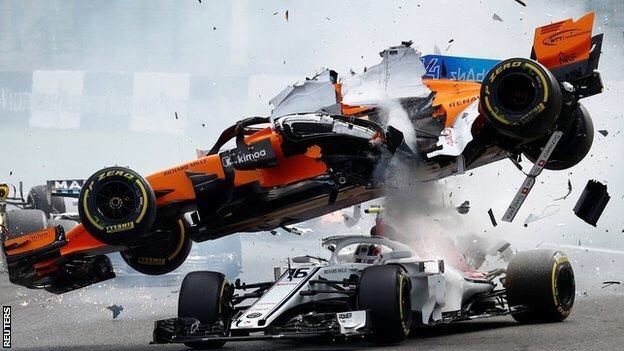 Renault’s Nico Hülkenberg locked his brakes on the approach to the first turn, causing him to slam into the back of McLaren’s Fernando Alonso, sending the Spaniard’s car flying over the top of Charles Leclerc’s Sauber. 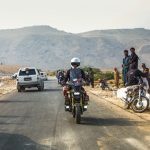 It is scary to think what could have happened had the HALO not been in place (the safety device that helps protect the driver from head injuries). 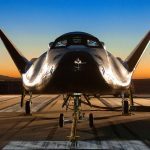 Prior to its implementation, many disapproved of it. Max Verstappen of Red Bull, whose mother is from Belgium, received affectionate support from home fans with his third place finish. Valtteri Bottas of Mercedes came in fourth. 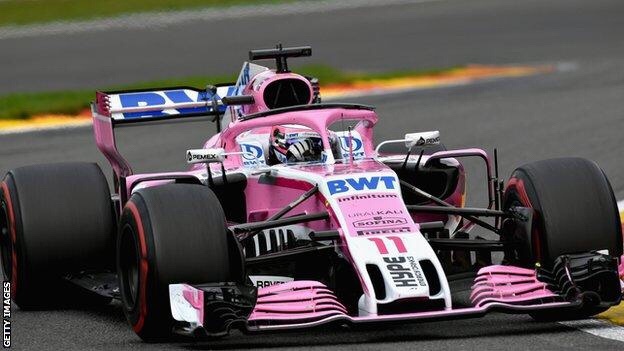 Force India may have endured a tumultuous summer break but by the chequered flag in Belgium, they had scored their first double top six finish of the season with Sergio Perez (P5) leading home Esteban Ocon (P6). A super drive for Force India’s Sergio Perez, opportunistically passing team-mate Esteban Ocon on the first lap and out-pacing him throughout. Haas also managed a double points finish and it was the first time in the American team’s history that they achieved the feat in consecutive races, with Romain Grosjean (P7) and Kevin Magnussen (P8). Pierre Gasly of Torro Rosso and Marcus Ericsson of Sauber completed the points. 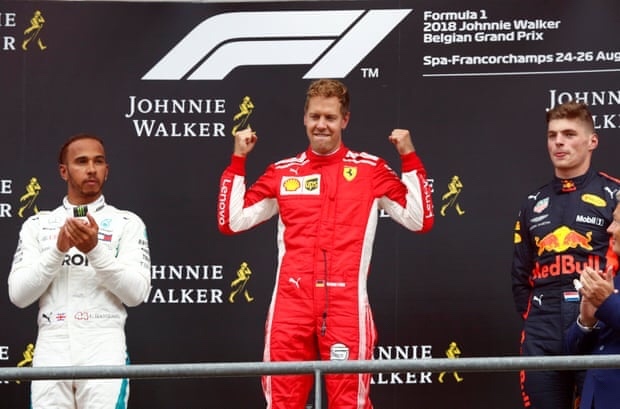 Vettel’s 52nd race win of his career puts him ahead of four-time world champion Alain Prost, with whom he shared the same number of wins before the race. He now sits third in the all-time race wins after Michael Schumacher (91) and Hamilton (67).